The emerald is numbered among the most prestigious and well-known jewels, and rightly so, but you may not know that this prized gemstone is actually a variant of the beryl family. 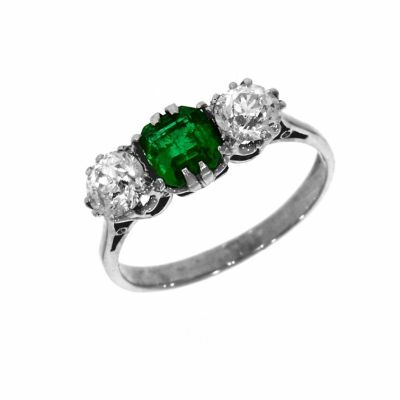 It possesses its famous green colour as a result of traces of chromium or vanadium, and it is appropriately the birthstone for those born in the month of May, when the green colours of spring are reaching their zenith. 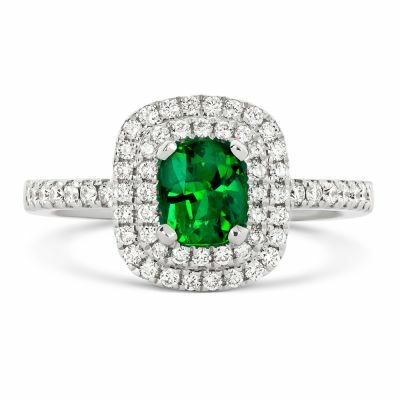 Despite this association, emerald gemstone rings are incredibly popular for a huge assortment of occasions, especially when being used as adornments for dress events. As tends to be the case with most gemstones, emeralds are not all uniform in hue, and so just because two people in a room might have emerald gemstone rings, that doesn’t mean that their stones will be twinned by any stretch of the imagination. The usual secondary colourations to occur within emeralds are yellows and blues, but regardless of this emeralds are generally on the darker and richer side of the green spectrum. The very finest emeralds are also practically transparent in their clarity, and when properly cut to retain the light they inevitably look stunning when worn within a ring. 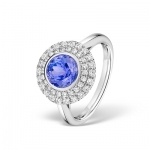 At Banks Lyon, we stock a range of gorgeous emerald gemstone rings in various styles of setting, and because of our specialism in the creation of bespoke jewellery we are well able to provide you with a vast array of unique pieces and designs. 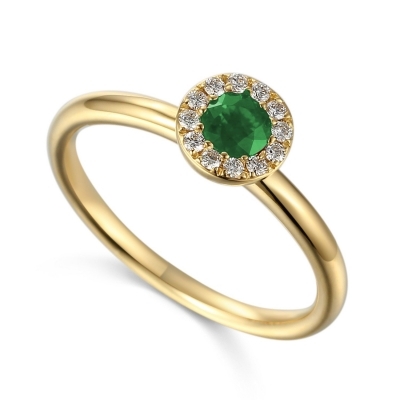 Very little can rival an emerald in terms of sheer vitality, and so if you’d like to learn more about these gemstone rings you can contact our professional team by calling 01524 38 48 58 or emailing us at Personalshopper@bankslyon.co.uk. 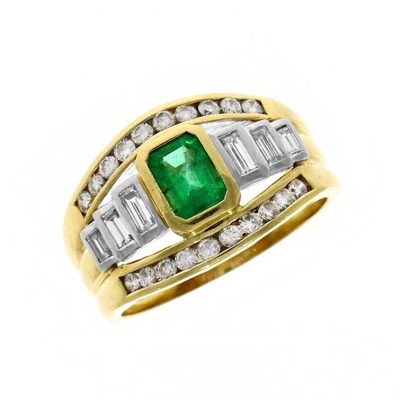 No matter what sort of emerald ring you are looking for, we’ll be happy to help with your enquiry however we can.